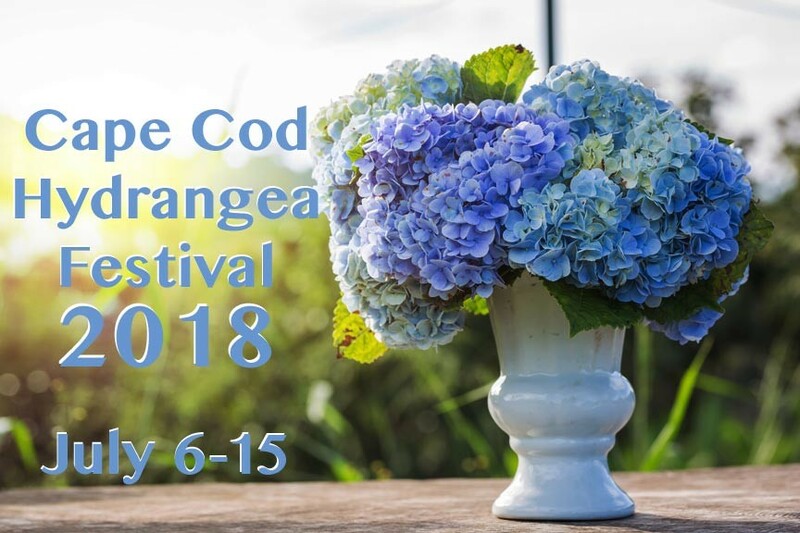 The 4th Annual Cape Cod Hydrangea Festival is scheduled for July 6th through the 15th, 2018. This annual celebration of the region’s signature flowers includes private garden tours, workshops, lectures, and other special events. The ten-day Cape Cod Hydrangea Festival is an amazing opportunity to tour private,individually maintained local gardens around the area. Seeing these lovely gorgeous flowers in an eclectic variety of displays is fun and can provide inspiration for your own garden. Each garden will be open to tour from 10am to 4pm on the days specified. Garden tours are only $5 per person, per garden, nonrefundable, and rain or shine. Private garden tours are just one part of the Cape Cod Hydrangea Festival, however. The ten days are also jam-packed with workshops and lectures presented by leading international horticulturalists. Learn how to properly plant, prune, and protect your hydrangea through a variety of symposiums and hands-on workshops. The Cape Cod Hydrangea Festival also sees promotions at participating nurseries and home centers, painting demonstrations, and more. There’s even a Cape Cod Hydrangea Festival Cocktail Trail planned! Kick off Cape Cod Hydrangea Festival 2018 at this celebratory, opening night party. Free to attend and open to public! Hydrangea University offers a range of experts to inspire and entertain you while increasing your Hydrangea knowledge. Participants will also have the opportunity to tour the Cape Cod Hydrangea Society Display Garden and the North American Hydrangea Test Garden, as well as receive a goodie bag and a hydrangea plant to take home. Learn all about fertilization and bloom color of Hydrangeas from local author, Joan Harrison, as she shares her secrets. She’ll also be selling and signing copies of her book, Heavenly Hydrangeas. Highfield Hall and Gardens will host live demonstrations, lectures, plant sale, and local garden group’s information. The plant sale will feature unique selections of the newest hydrangeas from Soares Flower Garden Nursery. Admission price ($10) includes entry to the mansion and Art show. Be sure to visit the Cape Cod Hydrangea Festival events page for a comprehensive list of events. Coming to the Cape Cod Hydrangea Festival? Let Captain’s Manor Inn be your home away from home! Our stately Cape Cod B&B offers 7 comfortable guest rooms to choose from. Inn amenities include a full, multi-course breakfast, 24/7 coffee & tea, afternoon snacks, private baths, free parking, WIFI, and much more. Book your stay at Captain’s Manor Inn today!